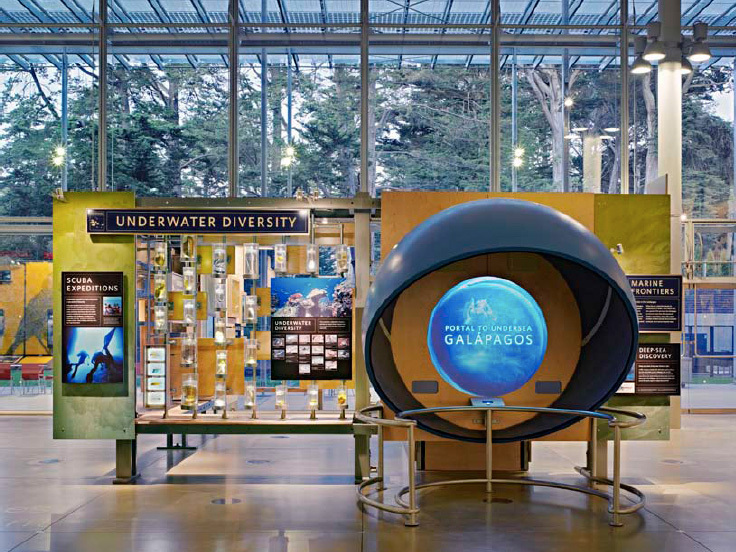 Exhibits at the new California Academy of Sciences give the time-honored specimen box a contemporary—and sustainable—spin. Collaborate with a Pritzker Prize winning architect, evolutionary biologists and ecologists, and the staff of a 157-year-old acclaimed research institution to create a new generation of sustainable exhibition design for a space bathed in natural light and without walls, in the middle of Golden Gate Park, San Francisco. This was the challenge that brought together Jonathan Katz, founder and CEO of Cinnabar, a Los Angeles-based production and fabrication company and Adam Brodsley, Principal and co-founder with Eric Heiman of Volume Inc., a multi-disciplinary design studio in San Francisco. 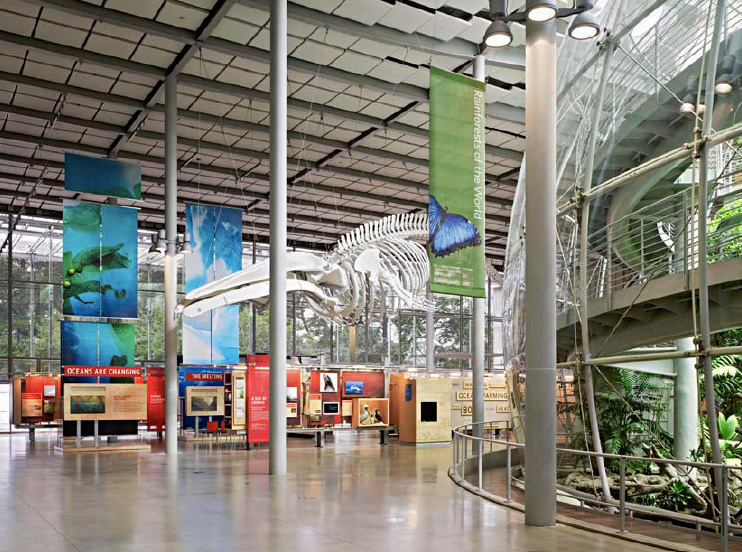 Katz, Brodsley and a bevy of designers and exhibit specialists produced two main attractions for the new home of the California Academy of Sciences — a 412,000 square-foot LEED Platinum museum that is transforming the definition of that word by its very being. Designed by Renzo Piano, the museum is the largest public Platinum-rated building in the world. Housing a planetarium, a four-story rain forest, and an aquarium, along with natural history exhibits, the Academy gives visitors a holistic portrait of our world and its diverse inhabitants, past and present. 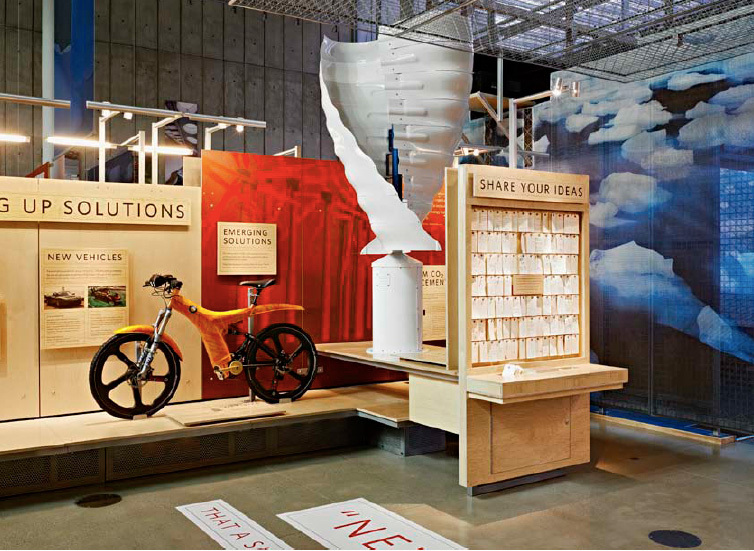 A major focus of the Cinnabar/Volume collaboration was to design exhibits for the Kimball Natural History Museum’s West and East Halls. While they are “halls” in the sense that they are large spaces at 10,000 square feet each, they are not defined by walls, entrances, and exits. On the far sides, they are open to a glass curtain wall that defines the building’s perimeter and offers spectacular views into the Park. The exhibits are free-standing and multifaceted — not enclosed in a “black box” of a traditional gallery. Visitors wander through the light-filled space and engage with the displays as they choose, weaving together their own narrative of the subject matter. Without a traffic path defined by the architecture, the exhibits had to be “discoverable, following the non-linear experience of life” as Rhonda Rubinstein, the Academy’s Creative Director explains. Each of the exhibits has a profound and enlightening story to tell. 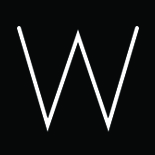 In the West Hall, “Altered State: Climate Change in California” uses concrete examples of the impact of global warming in the Academy’s home state to define the problem, its causes, and remedies. 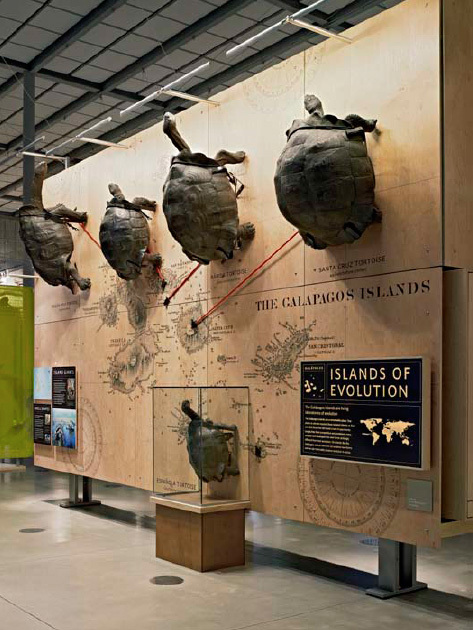 “Islands of Evolution” in the East Hall traces the Academy’s long history of expeditions and research in the Galapagos Islands and Madagascar in support of our understanding of evolution. With such weighty and potentially daunting subject matter, Brodsley and his team at Volume began by devising an information framework that would afford “the 2 second, 2 minute, or 2 hour visit, rather than assuming that visitors do not read.” Inspired by the specimen cases of early scientific collection, the designers developed a modular tiered system of organization in which to display the wide variety of media — from photographs and video to specimens and illustration. The specimen-box approach was welcomed by the Academy staff and by Renzo Piano, as Brodsley said, it’s “a little nod to history done in a contemporary way.” This cohesive and friendly visual language frames the subject matter in large-scale banners seen from across the space and in more intimate illustrations meant for close inspection. As Katz explains, “for the Academy, those choices go beyond the three R’s of ‘reduce, reuse, recycle.’” Every element is conceived as part of the Academy’s ecology and assessed by its current impact and its long-term benefit. This directive meant that the exhibit system itself should be able to evolve and grow with the changing needs of the facility. When asked about the inspiration for the spare palette of materials — largely steel and plywood — Katz points to the architecture: “When you look at the building, it’s all there. Integrity runs right through it — you can see how it’s made and what it’s made of.” The Cinnabar team and their consultants took the mission to heart and focused on economical materials and methods for the construction of the exhibits. That meant a lot of experimentation and the development of a few new techniques. The team investigated direct-to-substrate printing, which would reduce the materials used to sandwich prints to rigid panels. Katz worked with several printing companies that had 6-foot wide flatbed inkjet printers and performed tests on glass, wood, and plastics, until they found the right combination of FSC certified plywood and low VOC-toner to render clean, crisp graphics for the exhibits. Printing directly on plywood had the added effect of imbuing the graphics with a sense of immediacy — as Katz puts it “an anti-mustiness” that is sympathetic to the building. Bypassing the standard printing methods such as photographic processes and substrates meant decreased use of adhesives or solvents — another “green” advantage. Ambient light was also a major issue to overcome in locating the roughly fifty video screens that are embedded in the exhibits. Interactive games and video from the Academy’s collections and research studies animate the exhibits and draw visitors in for a closer look. But how to select and position monitors that met the low hardware and power costs required by the project, and, at the same time, would be bright enough to be seen in full daylight? Tom Mulally, Principal of Numagic Consulting, Los Angeles consulted with Cinnabar to make the most of the challenging conditions. Again, the inherent flexibility of the “kit of parts” allowed the team to position monitors away from direct sunlight, and when necessary, accommodated the addition of viewing hoods to dampen both ambient light and noise. As Energy Star digital displays and equipment were chosen, Cinnabar designed the armatures and cabinets to provide optimum placement and heat dissipation for passive cooling of the appliances. Low energy LEDs are used in the light boxes and specimen cabinets, saving energy while providing added visibility in the generous ambient light. With its popularity arose concern about sourcing those paper tags — what would be the most sustainable and practical solution? The Academy’s Creative Services department collaborated with their printer Paragraphics and now the tags are made from “make-readies,” paper used to test ink coverage on off-set printing presses. Cut to size, these tags reveal a bit of the mystery about their origin on the back sides with the layered swatches of test prints. Usually recycled after multiple trips through the printer, the “pre-cycling” of make-readies exemplifies the convictions of the Cinnabar/Volume team and the Academy’s own designers: thoughtful and frugal choices rendered practically, tuned to their environment — and beautifully amplifying their scientific mission.